Unlike most, DNA offers you a base of over 200 stock formulations – all of which you can private label. These formulations have been time tested, refined, and polished to offer the very best quality available. 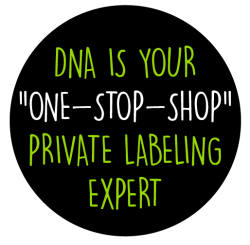 Whereas most companies require very large initial orders to “qualify” for private labeling, DNA offers a low, minimum order of only 24 bottles per item under your own label. This allows you to get started with your private labeling without having to incur large, initial overhead costs. Private Labeling can be an important step in establishing and maintaining your patient or consumer base. Marketing products with your name, logo, design, and address on the package helps to ensure that customers identify your company both for initial and repeat purchases. You may choose to apply your own label to any of more than DNA’s 200 stock formulations or you may elect to establish your own brand name on one or more custom formulations that are exclusive to your company. DNA employs an exclusively dedicated art department that can design custom labels and marketing collateral around your brand, for absolutely no cost to you! 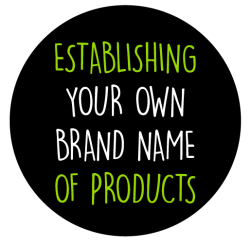 Do you already have artwork or labels for your products? 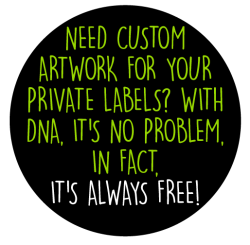 Not a problem, DNA can take your artwork or your labels and integrate them seamlessly into our production line. 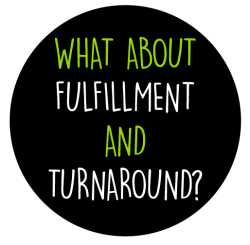 This gives our customers the maximum amount of flexibility while eliminating extra and unnecessary steps. Combine over 200 stock formulations, professional and eye-catching artwork and you’ll find that DNA can take your private labeling project from dream to reality – in as little as 24 hours! DNA also offers FREE SHIPPING on orders over $750 for every partnered client within the continental United States. When you call DNA, don’t be surprised when a real life person answers the phone. When you become a DNA customer, you can expect nearly every phone call to be answered without needing to leave a voicemail. Or, at the very least, our staff will contact you back immediately after they are done servicing our other understanding clients. We are DRIVEN to answer phone calls, emails, text messages, and voicemails around the clock. It’s why we are different! 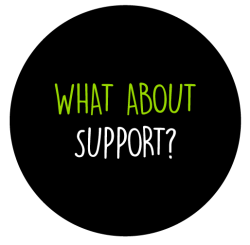 Supplementing your business is our mission. Our products come from NSF certified, GMP certified, and FDA inspected and approved manufacturing partners. Driven Nutrition of America L.L.C. Driven Nutrition of America would like to state that the information provided on this site is for informational purposes only and is not intended as a substitute for professional medical or health advice, assistance, diagnosis or treatment. You should seek the advice of your physician or other qualified health professional before starting any new regimen and/or making any changes to existing treatment, or altering in any way your current exercise or diet regimen. All of the content found on the Driven Nutrition of America website including product images, trademarks, illustrations, designs, icons, photographs, artwork and images are used by permission and/or owned, controlled exclusively by Driven Nutrition of America.